Sonoma County is known for its posh wineries, natural beauty and upscale living. But in the midst of this affluence is Roseland, an urban, majority Latino unincorporated neighborhood just west of Santa Rosa. Socioeconomic indicators in the area lag far behind the rest of the county—and the country at large. In some parts of the neighborhood, the quality of life is lower than in Mississippi, the lowest ranked state in the country, according to data from the Social Science Research Council. This spring, the Sonoma County Board of Supervisors received a 100-page report commissioned by the Sonoma County Department of Health Services titled A Portrait of Sonoma County that detailed this inequality. The report examined the health, access to education and living standards of different parts of the county. East Bennett Valley, for example, with a 90 percent white population, has a quality of life on par with the wealthiest in the nation. The area's median yearly income is $68,967. In Roseland, median yearly income is $21,699, and nearly half of the adult population did not graduate from high school. A 2007 RAND study showed that 65 percent of the population of south Santa Rosa, including Roseland, is overweight or obese. These conditions can lead to a host of problems, including diabetes, hypertension, heart disease, stroke, sleep disorders, depression and death. The good news is that there are efforts afoot to raise the standard of living in Roseland and break the cycle of poor health. A visit to the Sarmiento family home, just south of Roseland Elementary School, used to include a soda. "Being a Latino family, you always want to offer someone a soft drink when they visit you," says 32-year-old Alejandra Sarmiento. But then a doctor's test changed everything. Sarmiento's husband, Jose, 35, learned his cholesterol levels had reached a dangerous 260, leaving him at a high risk for heart disease. Sarmiento, who does all of the grocery shopping and cooking for her household, took a hard look at what her family of five consumed on a daily basis. "I didn't want to get sick in the future," Sarmiento says. "I don't want to see my children get sick or have the same problems as their parents. I want to improve everything having to do with their health." 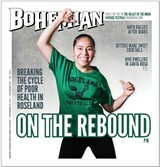 A founding member of the Roseland Roadrunners Parents Club, Sarmiento started taking regular weekend walks with her husband, who works long hours as a landscaper, and on weekdays with the rest of the Roadrunners. In March 2014, she started attending free nutrition classes, followed by a calorie-burning Zumba workout three days a week on the Roseland Elementary campus, where her two eldest children attend school. Taught by Promotoras de Salud / Health Promotors, who are trained as advocates and instructors in their own community, Sarmiento received tips on how incorporate exercise into a busy day, the different ways to get protein without meat (chia seed pudding, for example), and how one can of cola contains almost 10 teaspoons of sugar and how a bag of Takis contains enough sodium and fat to last all week. "You won't find a soda in my house now, even as a remedy," Sarmiento says with a laugh. Sarmiento also slashed the family's red meat intake, replacing higher-fat proteins with lentils, garbanzos and seafood. Gone, too, were the weekend family trips to taco trucks, replaced by salads, fruits and vegetables prepared at home. Jose's cholesterol level has dropped to 200, significantly lessening his chances of heart disease or stroke. Sarmiento has lost 10 pounds, and says she feels happier and more connected because of the camaraderie found at the energetic Zumba class, which attracts dozens of mainly Latina moms. Plans are in the works to add yoga, Pilates and cooking classes later this year. 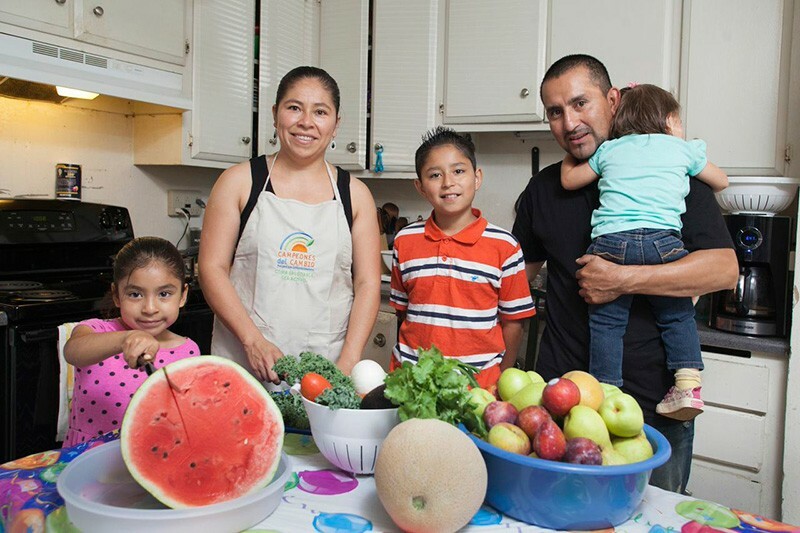 A FRESH START Roseland's Alejandra Sarmiento, second from left, has helped put her family on a healthier track with fresh food and exercise. Zumba and nutrition lessons arose from parent demand, says Teresa Lopez, community organizer and action trainer with St. Joseph Health systems. Lopez helps facilitate the classes, which are sponsored by St. Joseph, and cost only $2. She also recruits community members for an intensive community leadership training course run through her employer. "Last year, during a community forum, parents expressed frustration at the difficulties of exercising and eating healthy in their neighborhoods," Lopez says. "They said they couldn't afford the gym and they wanted more accessible exercise classes and nutritional lessons." They were able to get classes off the ground quickly; the scaffolding already existed due to the Healthy Eating, Active Living Community Health Initiative (HEAL), with which St. Joseph is a partner. A project of the Community Activity and Nutrition Coalition of Sonoma County and funded by Kaiser Permanente, HEAL began in 2006 and runs through late 2014.The idea is to build a "sphere of influence" in Roseland, creating a "HEAL zone" where community members of all ages and economic backgrounds can access healthful foods and physical exercise with ease. HEAL has streamlined collaboration, communication and funding opportunities for a long list of partners: the Center for Wellbeing, Sonoma County Department of Health Services, the Redwood Empire Food Bank, community health clinics, Community Alliance of Farmers, Sonoma County Bicycle Coalition, Community Action Partnership, Santa Rosa Parks and Recreation, the Healthy Food Outlet Project and the Roseland School District. 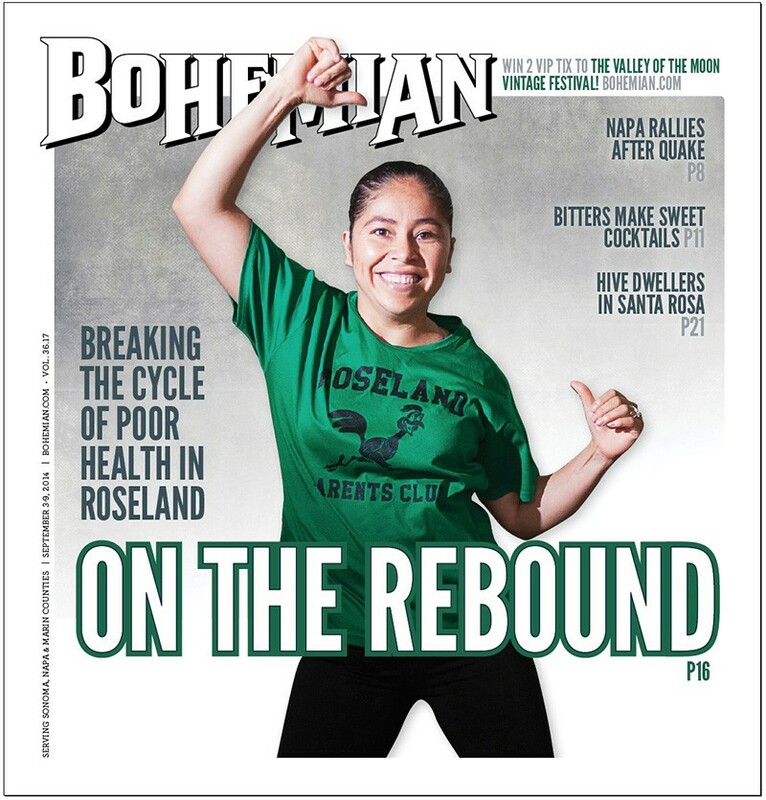 All are united by one goal: to make Roseland a healthful place to live and work. 'Roseland School District is a hub for resource-needy people," says Jessica Peterson, a community grant coordinator at the district. Peterson works closely with staff and administration to create a "culture of wellness" for the district's 2,727 students.